RC Helicopter Radios - How Many Channels? RC Helicopter Radios - How Many Channels Should They Have? 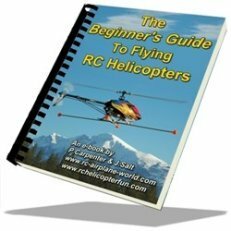 "How many channels should RC helicopter Radios have?" This is a question I get asked a lot by people who are just getting into the hobby and looking to purchase their first RC radio. When you go RC heli radio shopping, your first decision is to determine how many channels you will require. 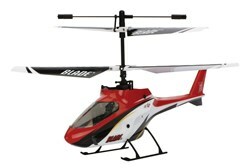 Each channel controls one surface or component on the RC helicopter. In short - the more complex the helicopter, the more channels you need. 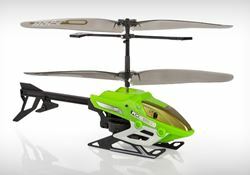 A two channel radio would be used for the most basic of toy grade helicopters , such as the Air Hogs Axis 200 helicopter. One channel controls the speed of the main rotor. 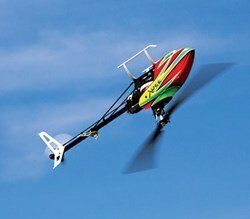 The second channel controls the tail rotor speed or second coaxial rotor speed so the helicopter can turn or yaw left & right. 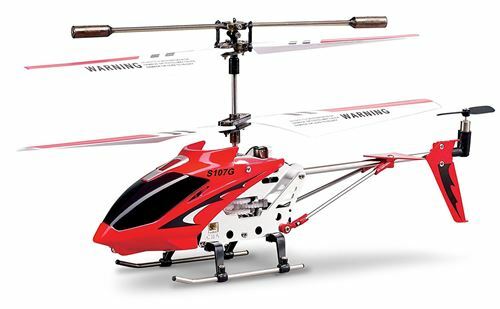 Most toy grade coaxial (counter rotating main rotors) RC helicopters use three channel RC radios such as the very popular Syma S107G. One channel to control the speed of the main rotors. The second channel is used to control the left and right turning (yaw) movement by varying the speed of the counter rotating main rotors. The third channel is used to control the speed and direction of another motor mounted on the tail boom with a small fan blade. This motor/fan is positioned vertically to pitch the helicopter forward or backward so it can move in those two directions. Again, these are simple radios that are included with the toy helicopter so you don’t have to worry about getting the radio separately. Four channel RC helicopter radios are required for micro coaxial RC helis with cyclic controls, hobby grade fixed pitch single rotor helis with tail rotors, and most quad/multi rotors. 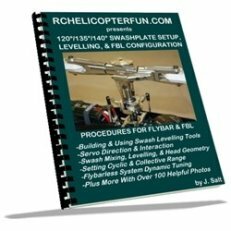 Now we start getting into true cyclic control that uses a swashplate or on the multi rotors full speed control of all the motors to achieve lift, yaw, roll, & pitch movements. One channel controls the speed of the main rotors. The second channel controls the left and right yaw movement by varying the speed of the counter rotating rotors. The third channel is used to control the forward and backward movement of the swash plate (pitch). The fourth channel is used to control the left and right movement of the swash plate (roll). One channel controls the speed of the main rotor/throttle (lift). The second channel controls the speed or pitch of the tail rotor to turn the heli left or right (yaw). Third Channel for forward/backward cyclic (pitch). Fourth Channel for left/right cyclic (roll). For most quad/multi rotors the same four channels are used to control lift, yaw, pitch, & roll; but it's done through the gyro/flight control unit onboard the multi rotor aircraft to change the speeds that all the motors are spinning the propellers. By precisely changing speeds of the propellers, all the same four movements (lift, yaw, pitch, & roll) are attainable. My page on quad/multi rotor goes over this control in more detail. This is the minimum number of channels you need to control a hobby grade RC helicopter with collective pitch. Channel 1 controls engine/motor speed. Channel 2 control tail rotor pitch or speed. Channel 3 controls swashplate cyclic pitch. Channel 4 controls swashplate cyclic roll. Channel 5 controls the collective collective pitch of the main rotor blades. Again, this is the bare minimum number of channels you need to control a collective pitch RC helicopter; but is very limited in practicality these days since the introduction of gyros or flybarless systems with remote gain and mode selection (pretty much the only option these days) – yup one more channel needed. 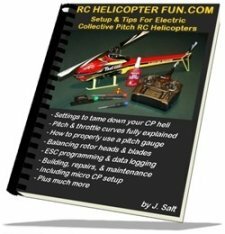 As I just stated, if you are getting into a hobby grade heli with collective pitch and have anything but the most basic gyro or helicopter, you will need a six channel helicopter radio to select different gyro gain settings or to select between yaw rate gyro mode or heading hold gyro mode. 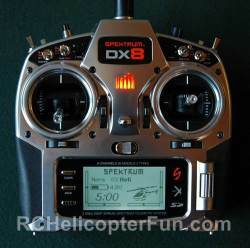 Most also consider 6 channels the minimum now for most quad/multi rotors if you are planning on flying FPV or using them for aerial photography. The two extra channels can be used for tilt and pan of the camera for example; or to activate GPS autopilot modes such as return to home, auto orientation, or various stabilization flight modes. If you are looking to control more items on your RC heli or quad/multi than the basic flight controls and gyro/camera/flight mode features – you of course need more channels. Remote fuel mixture controls on nitro and gas powered helis. Remote head or engine speed governor adjustment. Multiple remote gain adjustments or "rescue modes" on some flybarless systems. GPS/return to home flight mode activation on some flybarless systems or multi rotor stabilization systems. Navigation and landing lighting on scale models or for night flying with light strips etc that have multi pattern lighting effects controlled by one or more radio channels. Movable/retractable gun turrets/rocket launchers/windshield wipers, & other highly detailed features on scale RC helicopters.